New federal overtime rules scheduled begin December 1st on hold. A federal judge has issued a nationwide preliminary injunction on the new federal overtime rules. For now, employers will not be required to adhere to the new guidelines. On May 18th, 2016, the Department of Labor's (DOL) final rule updating overtime regulations was announced. The ruling included changing the minimum salary exemption threshold from $455 per week or $23,660 yearly to $913 per week, or $47,476 annually, which is expected to automatically extend overtime pay protection to over 4 million workers within the first year of implementation. 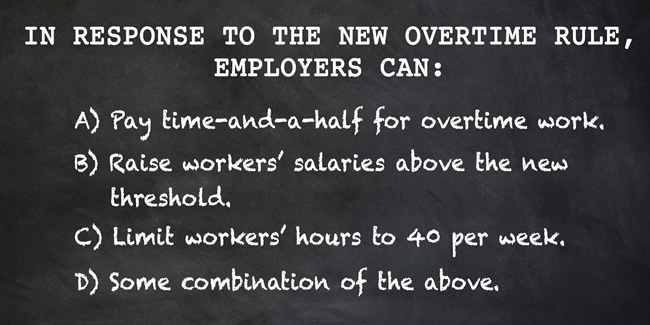 The new overtime ruling takes effect Dec. 1st, 2016. 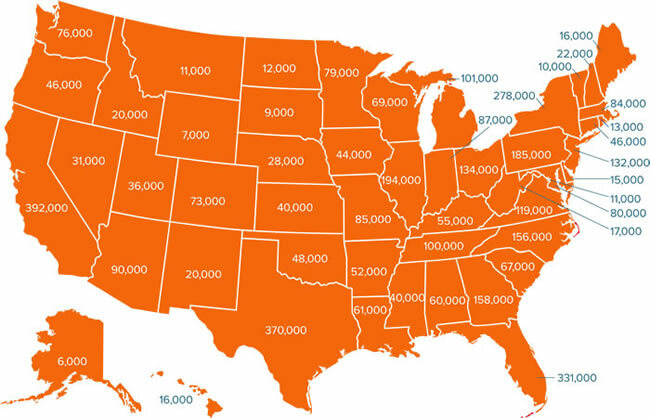 4.2 million workers are expected to become eligible for OT pay. Employers should consider now how they will be affected. Which employees are affected? Will some employees receive salary increases or be reclassified? How will you track employee hours and minimize a potential increase in wages? How will update employee handbooks, job descriptions and OT policies. The most effective way to simplify how you track overtime hours and remain compliant is automated timekeeping. But staying compliant means more than better tracking of employee time. ​We have simple solutions to help. With the new ruling taking effect Dec. 1, 2016, now is the time to prepare. DOL - "Questions & Answers"
DOL Blog - "Plenty of Options"
DOL Blog - "Who Benefits from the New Overtime Rule?" DOL Blog - "Behind the Myths..."
Contact us to learn more about getting prepared.